EUROPEAN CRAFTSMEN brings old-world commitment to a contemporary kitchen and bath design. Our skilled craftsmen are trained in Europe to follow the traditions of generations of craftsmen whose structures have endured for centuries and are admired for their beauty. We offer full service start-to-finish solutions for every project. We assist the customer in designing the project from an idea to having a real plan to build through completion. 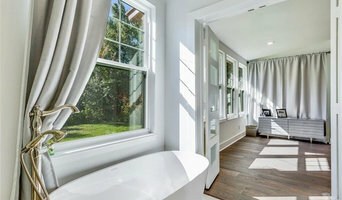 We keep your interest in mind with your design features and with being able to guide you through the selection process and providing input such as cost, functionality, build ability, if it is a remodel, how it will effect the rest of your home, especially if you plan to stay in your home while the work is being done. For over 20 years, Palladian Design Group has been transforming their clients’ desires into their dream homes. 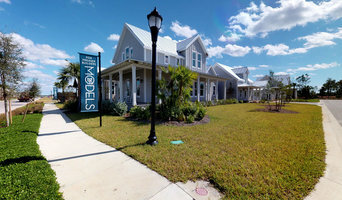 Throughout the country, our firm has created hundreds of unique residences that not only provide its owners with a wonderful place to call home, but an enduring investment that showcases the individuality of those that will live there for generations to come. Passion for all types of architectural styling and traditions, detailed interior spaces and a balanced flowing layout have created homes that are a testament to our firm’s attention to every element needed for a home of unprecedented style and livability. 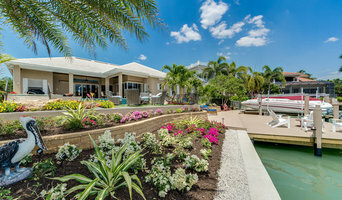 Richards and Martin, Inc. is a luxury custom home builder serving Naples, Bonita Springs, Estero and many other Southwest Florida communities. In 2013, we introduced a new product distribution division covering South Florida, exclusively representing Unilux Windows and Doors. Unilux, manufactured in Germany, is Europe's leader of aluminum clad wood windows and doors. In true European fashion these are inswing tilt/turn - a style new and fresh to the market place. Our mission is to provide the most water tight, long lasting, highest performing fenestration assembly on the market. Interior Design, Contracting, Remodeling, Consulting, Space Planning...all your Residential needs. We provide excellence in design and a deliberate approach to achieve the best results possible in all projects. Our clients appreciate our approach to design as it always includes their wishes. At Gabisa Homes we build our homes with our clients in mind. We also specialize in roofing and tile installation. We make sure that everything is exactly what you expected while using high quality materials. We have 4 home plan designs to choose from, or we also create custom floor plans. We give free estimates for your peace of mind and try to stick as close as possible to the amount agreed upon. Many reasons why our clients are happy is because we offer a quick turn around time of 4 months. We have the resources and help to get you into your new home faster. View Chic the Window Boutique is a window treatment design studio serving South West Florida. Over the course of our 10 years in business we have designed for residential homes and commercial spaces all across the state of Florida. Contact us for fabrics, fabrication services and more. Certified General Contractor specializing in new home construction, additions and major renovations. Design Match is a complimentary designer matching service located in Naples, FL that matches YOU with the Perfect Design Partner, interior designer, architect and builder to help make your design dreams come true. Building a new home, renovating your existing interiors or adding more space, working with a team that "gets you" saves frustration, time and money. We meet with you in person to discuss all the elements of your design project and then connect you with the right interior designer, architect or builder to make your design dreams come true ! Let Design Match help you make those important connections through our top-rated team of design professionals. Using our unique Style Profile Process, Design Match will connect you with the right design professional – interior designers, architects and builders - that will save you time, stress and make it easy!